The traditional Father Frosts race took place on the 23 rd of December! 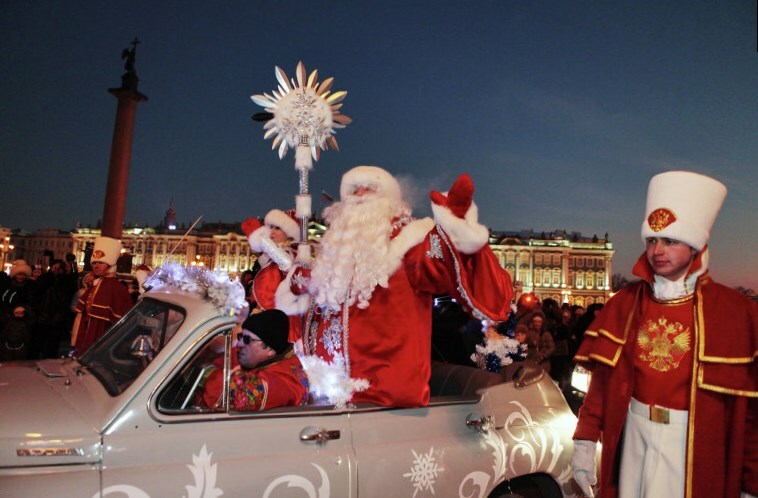 The participants aged from 4 to 80 years old in the Father Frost suits started on the Dvortsovaya square and ran along the Nevsky Prospect in the direction to the Vosstaniya Square. The suits were given in the personal use and every finishing competitor received a new year gift and a diploma. There were more than 3 thousand participants of the spectacular race in Father Frost suits.